✓ Enjoyed sharing resources and sending messages via the app. Easy to communicate particularly useful using the announcement and discussion tools. The Ashok Leyland School in the Hosur region of Tamil Nadu is committed to providing the best possible learning environment for a rapidly changing world. LP+365 is perfectly placed to support Ashok Leyland School’s sustainable and scalable model aiming to achieve a 20% improvement in learning levels of students as well as a 20% reduction in dropout rates and increase in attendance and engagement. 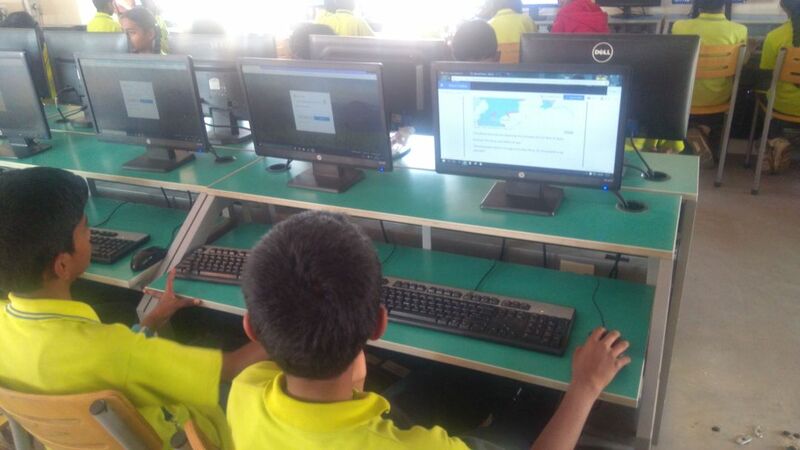 The success criteria for this project centred around being able to measure how far LP+365 helps at least three-quarters of the students are able to integrate technology with their lesson, collaborating and sharing their views and ideas across collaboration tools. For teachers, the advantages of the LP+365 learning and collaboration platform are clear. LP+365 enables the school to reach the government set goals to improve not only student learning outcomes but the collaboration tools contribute towards improving attendance and student engagement.